The home that has been known as 1504 Park Avenue for more than a century began its life as 358 Park Avenue. 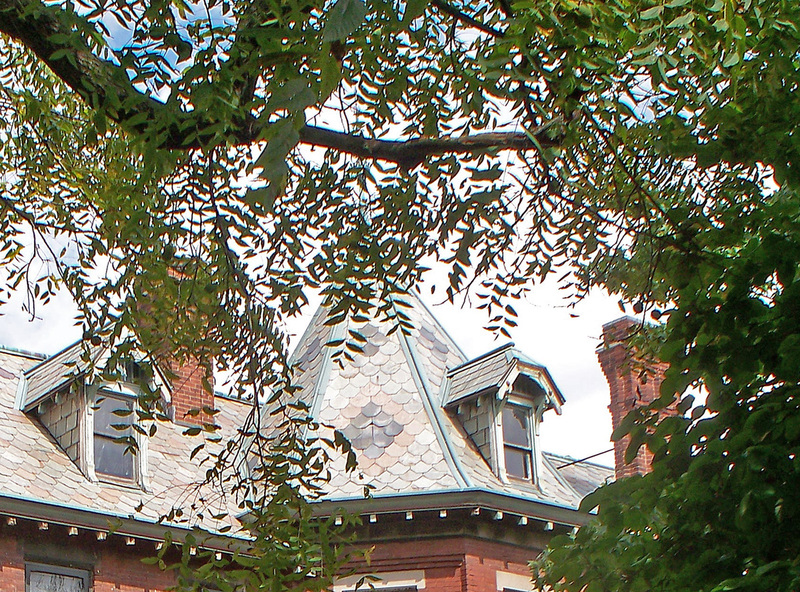 The residence’s original owners were a Canadian-born couple named Carl McFarland Von Hake and Sarah Richardson Von Hake. The Von Hakes had three daughters, Carlesta, Alberta, and Norma. 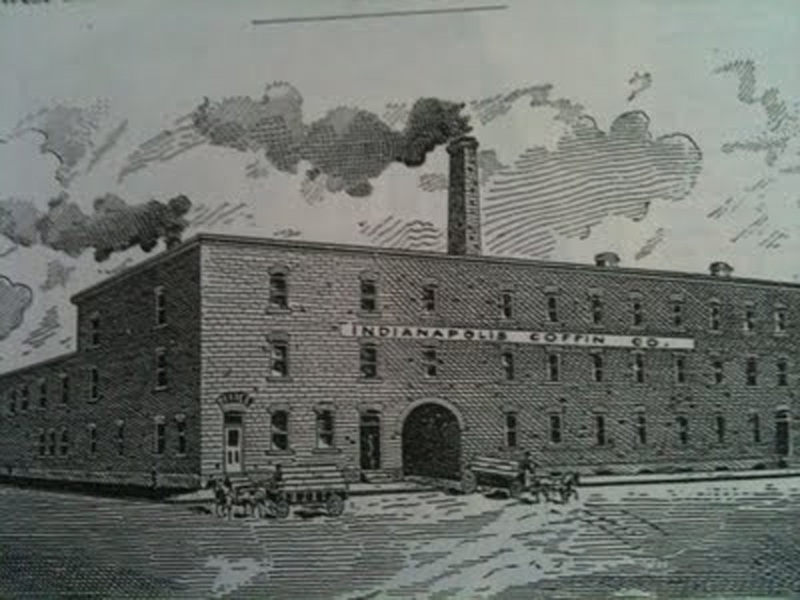 The Von Hakes arrived in Indianapolis from Ontario about 1875. Carl’s business at the time he built the home on Park Avenue was a shoe store on West Washington Street. In addition to operating this and several other successful busnesses during his lifetime, Carl Von Hake also served a term as county commissioner and two terms as county treasurer. 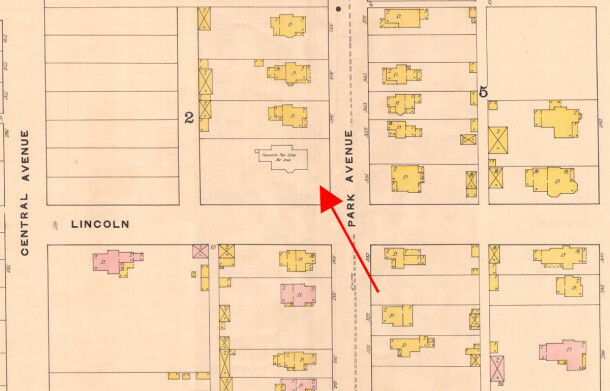 At the time the house was built, what is now East 15th Street was known as Lincoln Avenue, and what is now East 16th Street was known as 7th Street. In the 1880s and 1890s, the addresses of homes in this block of Park Avenue were in the 300s. They would all later be renumbered to addresses in the 1500s. Construction of the residence on the northwest corner of Lincoln and Park Avenues was begun in 1887. 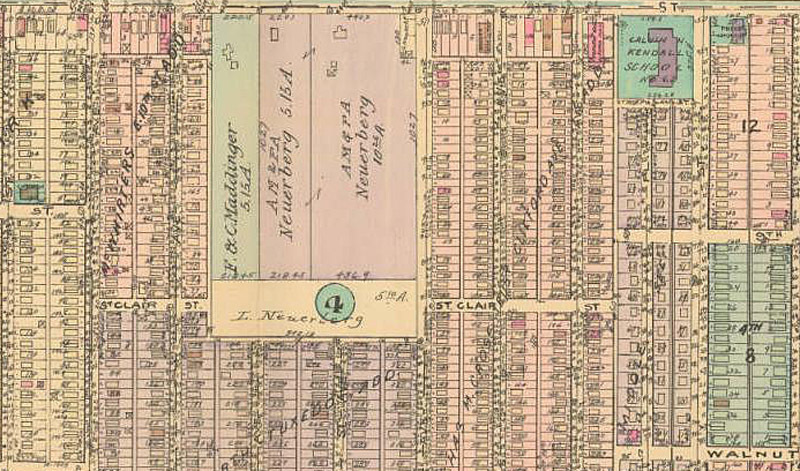 The 1887 Sanborn map indicates that only the foundation existed at the time the map was drawn. By the time that the 1888 Indianapolis City Directory was published, the Carl Von Hake family was living in their newly finished home at 358 Park Avenue. 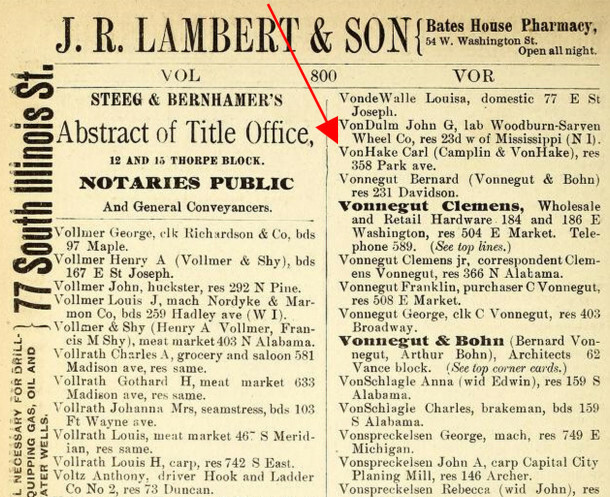 Together, the 1887 map with only a foundation and the 1888 directory with occupants narrow down the time frame of the home’s completion to late in 1887 or early in 1888. At the end of the 19th century, the City initiated a project to rename streets and revise house numbers outside the Mile Square to make them more consistent with those already established in the center of town. 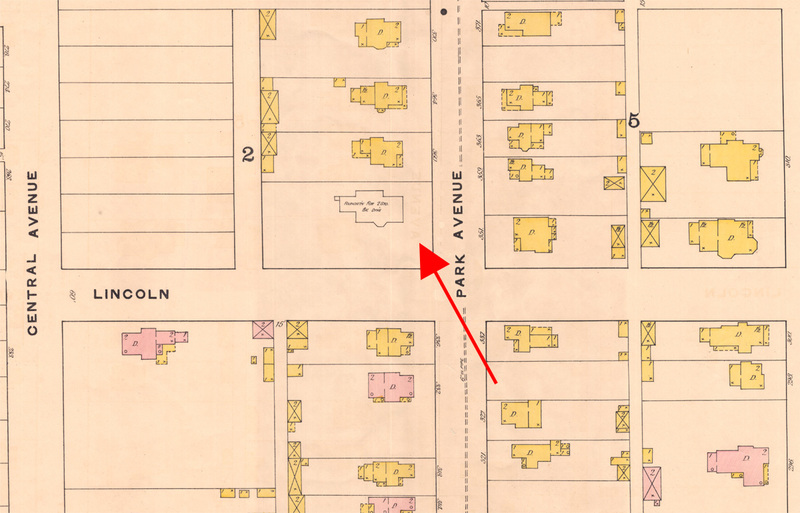 Thus, 358 Park Avenue became 1504 Park Avenue, Lincoln Avenue became 15th Street, and 7th Street became 16th Street. Although the following five facts provide only circumstantial evidence, they suggest the possibility that a Vonnegut was involved in the design and construction of the home. That Vonnegut would have been architect Bernard Vonnegut (born in 1855), as Kurt Vonnegut Sr. (born in 1884) would still have been a toddler when the Von Hake home was built. 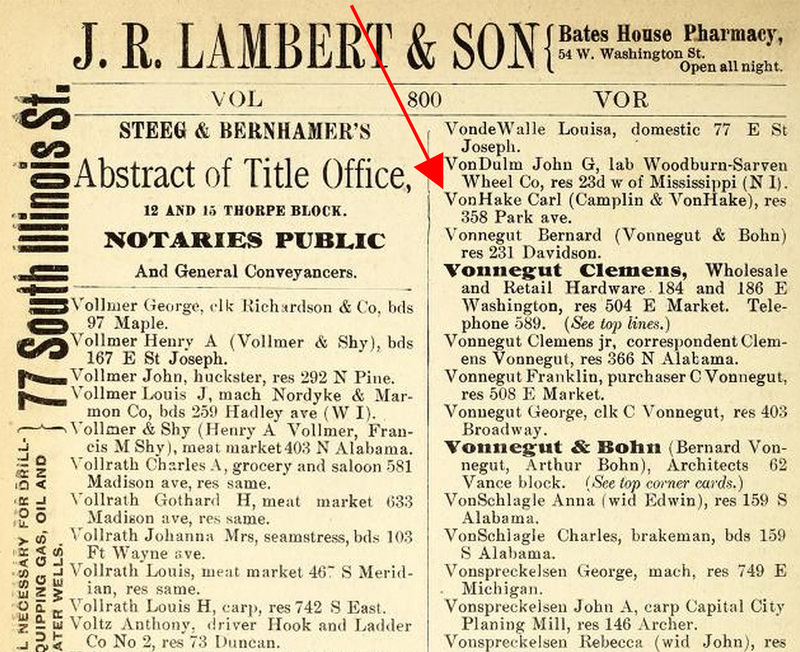 First, the couple who built the home at 1504 Park Avenue were related to the Vonneguts by marriage. Carl Von Hake’s sister, Pauline Olga Von Hake, was the wife of Franklin Vonnegut, who was Bernard Vonnegut’s younger brother and Kurt Vonnegut Sr.’s uncle. Second, Bernard Vonnegut began his career as an architect in 1883, the same year that he married Nanette Schnull. Vonnegut spent a few years establishing himself as an architect on his own, before forming a partnership with fellow architect Arthur Bohn. Residential projects for relatives, such as this home, would have been good practice for the many landmarks that would be in Bernard Vonnegut’s future. 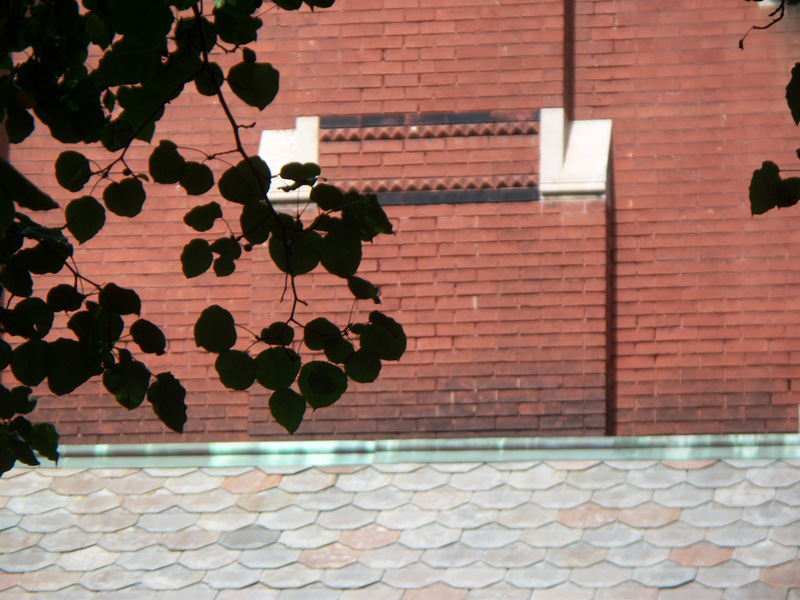 The architectural firm of Vonnegut & Bohn was created in 1888, the same year that the Von Hakes moved into their new home. 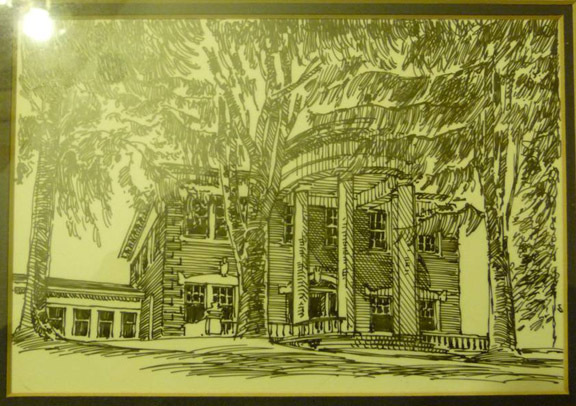 As the Von Hake home was already under construction and possibly even completed by the time the two architects joined forces, the residence at 1504 Park Avenue would have been designed for the Von Hakes by Vonnegut alone. Third, Carl Von Hake was the business partner of two Vonneguts in the Indianapolis Coffin Company (later renamed the National Casket Company). Carl Von Hake was president, Clemens Vonnegut Jr. was secretary, and Franklin Vonnegut was treasurer. The company’s offices and showrooms were located at 118 E. Washington Street, which today is a parking garage. The company’s manufacturing plant was located on the west side of the Central Canal, near W. 15th and West Streets, which is now vacant ground owned by the City of Indianapolis. Fourth, in the years just before and just after the Von Hakes built their home at 15th and Park, several other Vonnegut relatives built new homes or bought existing homes within a couple of blocks of one another. Bernard Vonnegut purchased a residence at 630 E. 13th Street. Henry and Mathilde Schnull, Bernard Vonnegut’s parents-in-law, lived at 502 E. 13th Street. George Vonnegut resided at 1616 Broadway Street. Clemens Vonnegut Jr. built a home at 1212 Broadway Street. It seems logical that these relatives (who were also all neighbors of one another!) would have sought Bernard’s professional expertise in the construction of their family’s residence. Fifth, a search of the 1887 Indianapolis City Directory for all persons whose occupation was listed as “architect” resulted in only fourteen other individuals besides Bernard Vonnegut. The population of Indianapolis at that time was around 45,000. With only fifteen architects serving the area, the odds that Bernard was the architect for his brother-in-law’s home seem good. 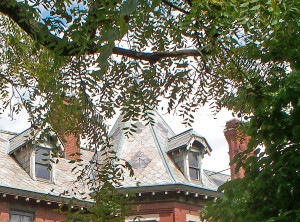 If Bernard Vonnegut was not the architect for the Von Hakes’ residence, then one of the following may have been: Diedrich A. Bohlen, George W. Bunting, Thomas M. Cahill, Joseph Curzon, Robert Platt Daggett, Louis H. Gibson, Harry Haugh, Edwin Ketcham, Scott W. Moore, Charles G. Mueller, Caleb H. Peckham, Henry Ridout, Adolph Scherrer, or John H. Scharn. Regarding the craftsmen who may have helped build this residence, as well as helped build the Athenaeum, I regret that I am not able to confirm that fact either. In my search of the 1887 Indianapolis City Directory listings, I found 59 persons listed as brickmasons, 26 persons listed as stonemasons, and 7 persons listed simply as masons. Not one of them indicated the name of any company for which he worked. All 59 men appeared to be, as we would now call them, independent contractors. The original portion of Das Deutsche Haus was erected in 1893, and the west wing was completed in 1898, so the Athenaeum was built later than the home at 1504 Park Avenue. Nonetheless, it’s conceiveable that the same masons could have worked on both projects. A residence that is commonly known to have been designed by Bernard Vonnegut is the Ruskaup house at 711 Dorman Street, which is in what is now known as the Cottage Home Neighborhood . 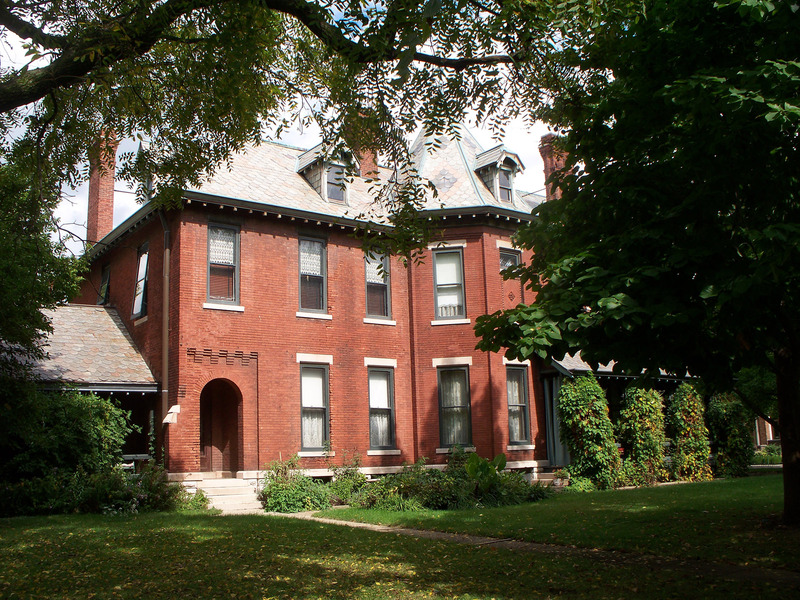 The residence is discussed on a number of websites, including an IndyGov page here. 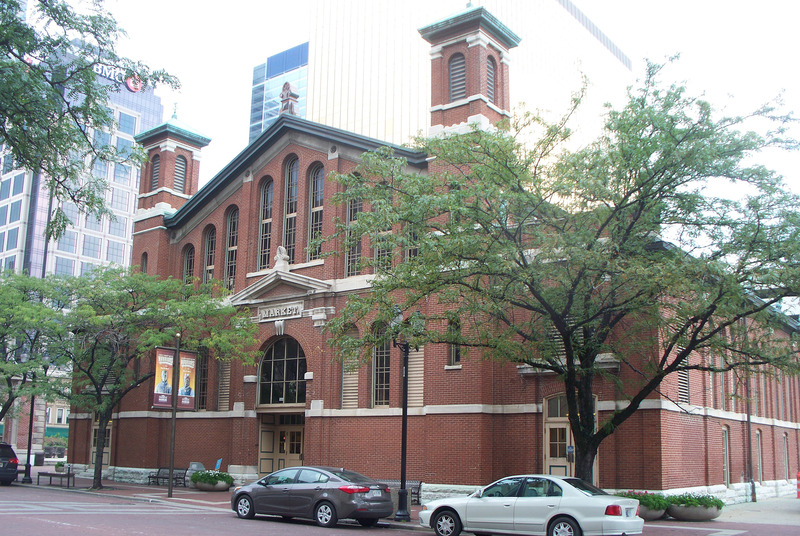 Also, the Athenaeum was the subject of a Historic Indianapolis piece in January of this year, which you can read here. The Indiana Historical Society and Ball State University both have Vonnegut & Bohn records in their archives. They might have details in their files that I was not able to find in my searches. I would recommend contacting them for further assistance on these questions. As to “the rest of the story” of the home’s original owners . . . Carl Von Hake’s wife Sarah died in April of 1909. Carl married a second time in April of 1910, to a woman named Nellie Lee. 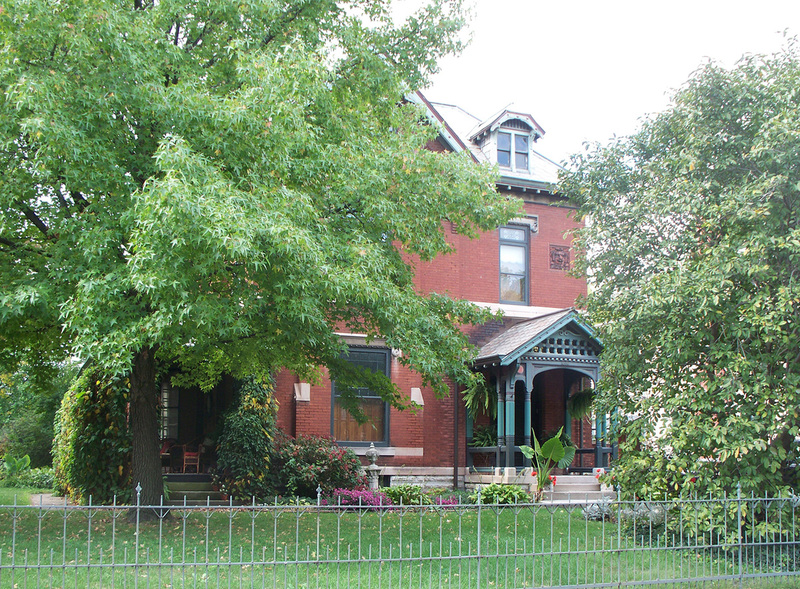 By the time of the 1910 Census later in that same month, the newlyweds were living at 2141 N. Meridian Street. Whether the memories were too painful for Carl, or his second wife didn’t want to live in the first wife’s house, or the place was just too large for two people is not known. All three Von Hake daughters were grown and married by this time — Carlesta to Charles W. Minesinger, Alberta to William M. Birk, and Norma to George Kothe, Jr. Sadly, Carl Von Hake lived only a decade after leaving 1504 Park Avenue. On March 20, 1921, Von Hake walked nearly a mile from his Meridian-Kessler home at 5671 Central Avenue to the Central Canal. He drowned in the canal in the vicinity of Central Avenue and Westfield Boulevard. 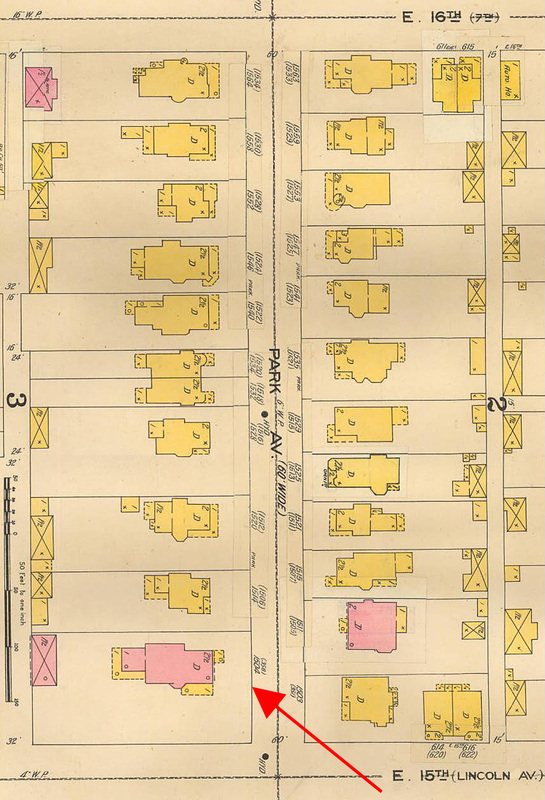 On the 1910 Census, Alonzo W. and Nellie W. Taylor were listed as the owners of 1405 Park Avenue. Alonzo was the proprietor of the Taylor Carpet Company at 26-28 West Washington Street. However, the Taylors’ stay was brief, as the occupants of the home by the time the 1911 Indianapolis City Directory was published were John and Alice Rau. John was the owner of the Fairmount Glass Company, founded in 1889 in Fairmount, Indiana, and moved to Indianapolis in 1905. The plant was located in the vicinity of S. Keystone Avenue and Pleasant Run Parkway. John Rau passed away in 1928. Alice Rau remained in the property until her death in 1944, having resided at 1504 Park Avenue for thirty-three years. 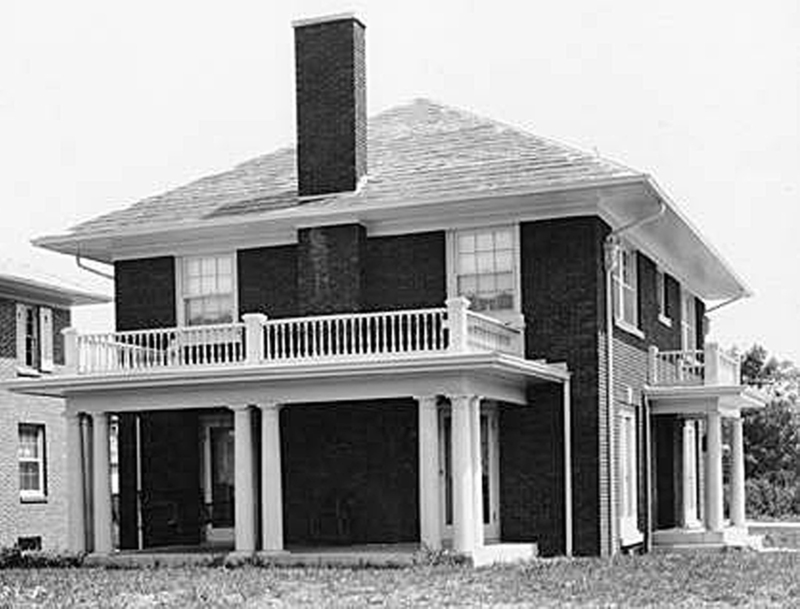 From the 1950s through the 1970s, the home was essentially a boarding house. Year after year, 1504 Park Avenue was listed in city directories as having ten to twelve apartment units in it. The current owners purchased the property in 1981 and have returned it to its original use as a single-family residence. In answer to the reader’s two-part question, I’ll respond to each subject separately. Although I could find no definitive proof of who designed the home, I believe there is a compelling case for its having been Bernard Vonnegut. 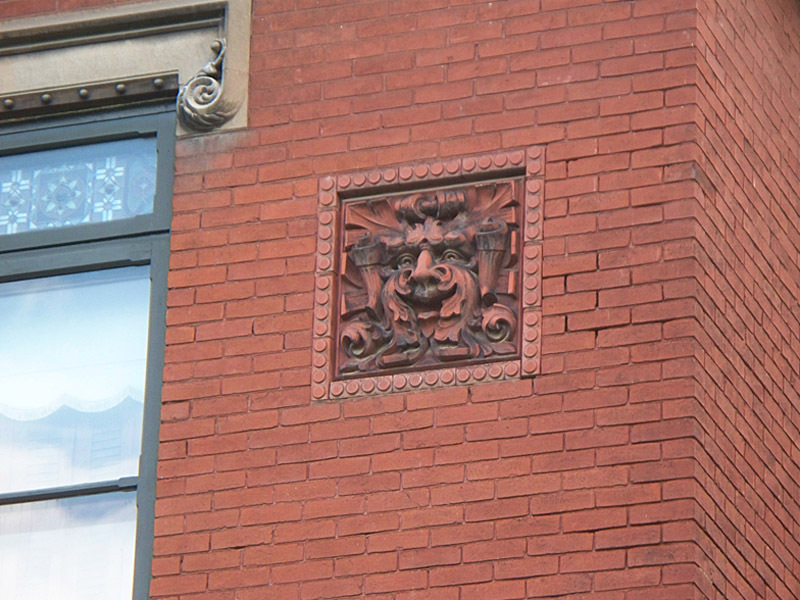 As for whether or not the same brick masons who built the Athenaeum also built the residence, that too could be the case, although the home at 1504 Park Avenue was built several years before the Athenaeum was. Another fine piece of work, Sharon. What is it about a finely designed and built residence that stirs one so? If I ever hit the Lottery, I would spend the rest of my days restoring old homes. 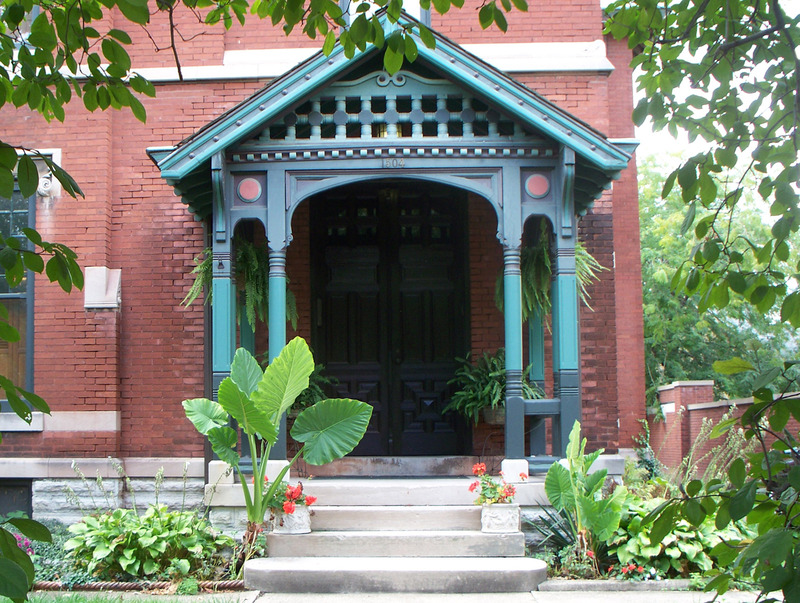 My dream is to win the Lottery and restore the Abraham C. Shortridge house at 13th and Broadway Streets. Coincidental to this article, the house that Shortridge built when he was Superintendant of Indianapolis Public Schools is on one of the other corners of the same intersection as Bernard and Nannie Vonnegut’s former home. Shortridge’s home was also later the residence of one of the founders of the Indianapolis League of Women Voters, Tarquinia Lora Voss. The house has been vacant and in disrepair for decades. A former carriage house on the north end of the lot was demolished at some point. It breaks my heart every time I drive by it (most recently, just yesterday). An excellent article, Sharon! Excellent! 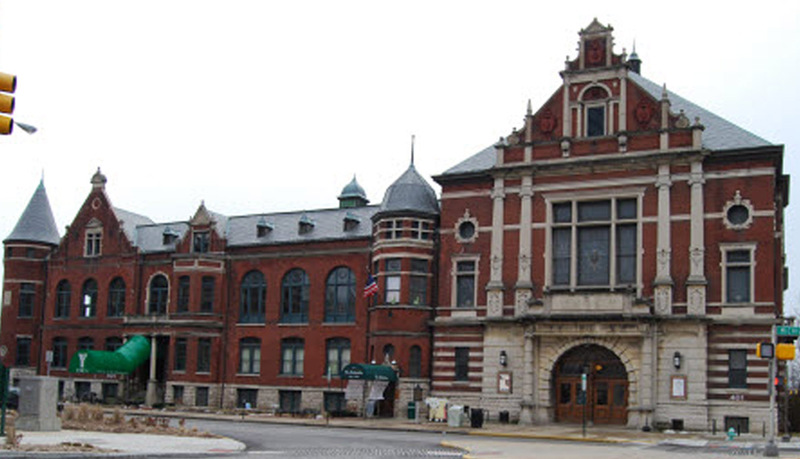 I was wondering what architectural style was the Athenaeum built in? I think the two sections of the Athenaeum are considered to be somewhat different architecture. The original portion on the east side is German Romanesque, and the west wing added a few years later is German Renaissance Revivial. Neat find on the Sanborn. I have never seen just a foundation before. I had never seen just a foundation before, either, and I’ve looked at a lot of these maps in recent years. How fortunate that it appeared that way, as it really narrowed down the time frame in which the house could have been built. 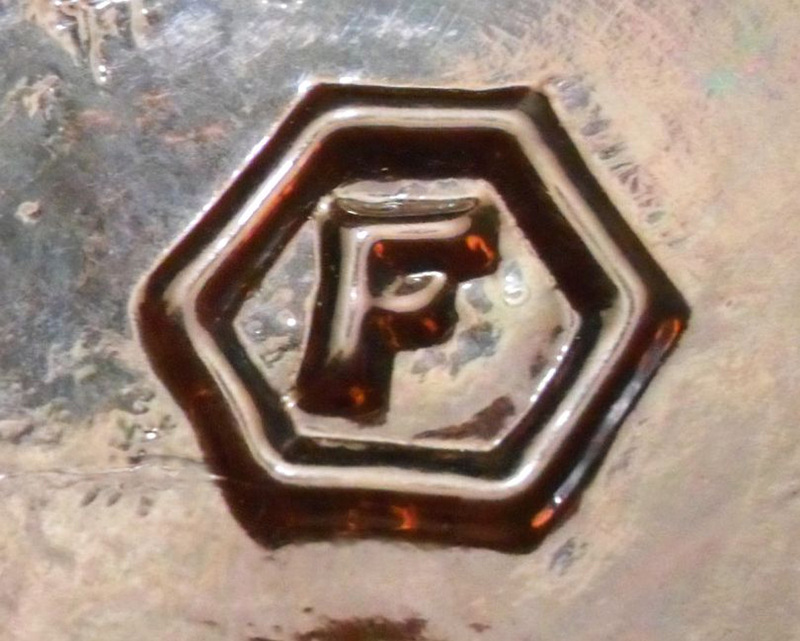 Since there was only a foundation in 1887, and the family was living there at the time of the 1888 city directory, one or both of those years were when the house was constructed. You might want to compare details with Vonnegut & Bohn’s ca. 1891 Ruskaup House at 711 Dorman Street, seen here shortly after it was built http://www.flickr.com/photos/heritagephoto/411765282/). I have a copy of the architect’s bill, which does mention the general contractor (Walter Knopf…or something close to that), but I don’t think it mentions the bricklayer. I’ll check it tomorrow. Something I heard years ago, but do not remember the source, is that V&B often placed a shield-shaped cartouche in the homes with the owner’s initials. The Ruskaup house has the shield carved in the dining room and I believe on the main stairway. You should swap house tours with the owners of that house and see if there are any similar features. Thanks for your suggestion (“Great minds think alike”?). I almost knocked on your door on Monday afternoon to discuss this with you. I had the very same thought that you did, as I was working on the article. After I took the photos of 1504 Park Avenue, I then drove to 711 Dorman Street to take photos of the Ruskaup house. I parked just a few feet south of your house. After comparing my photos of both homes, though, I didn’t see any details that were clearly identical. If Bernard Vonnegut did have a hand in the design and/or construction of the Von Hake house, and I believe he probably did, it would have been before Vonnegut partnered with Arthur Bohn. I can definitely see obvious similarities between the Ruskaup House and the Athenaeum, which of course were both constructed after the firm of Vonnegut & Bohn was established, and the two architects were collaborating on projects.